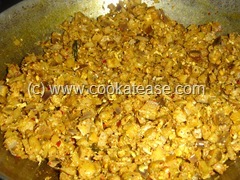 Vangi bath is a famous Karnataka dish but cooked in all states of south India. 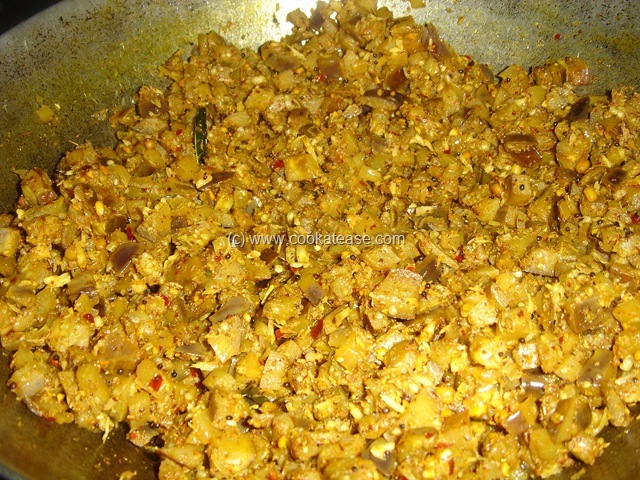 Eggplant or Kathrikai (in Tamil) is fried with spices and mixed with rice. 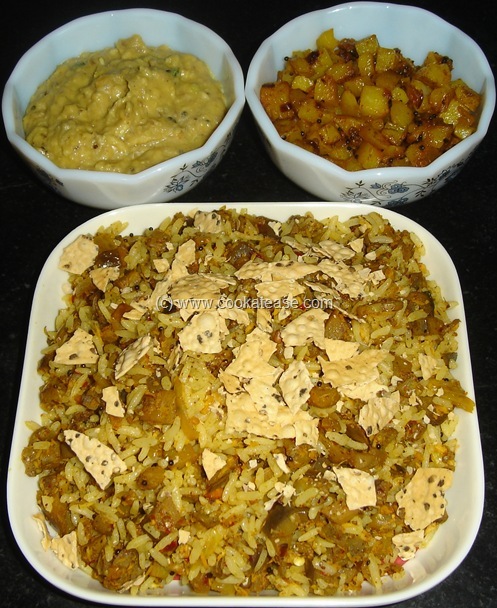 Variety of dishes can be prepared with brinjal like sambar, kootu, poriyal etc. 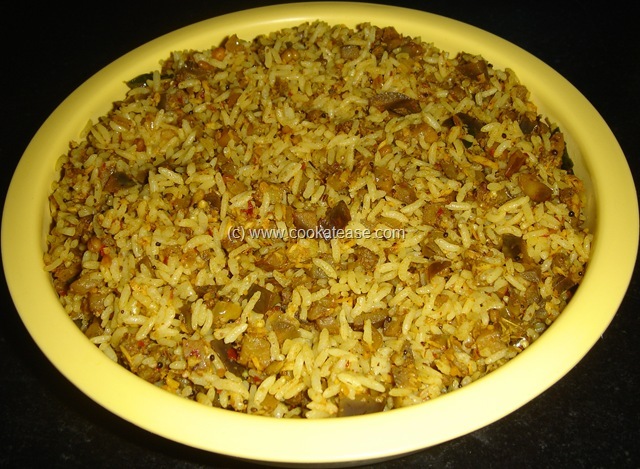 Vangi bath uses brinjal as main ingredient. 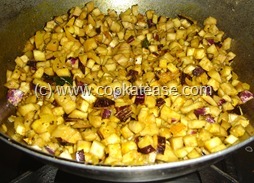 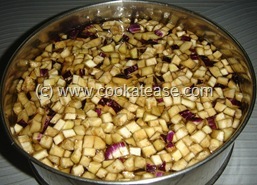 Wash, chop brinjal and put it in water (otherwise it’s colour may change); chop onion and curry leaves. 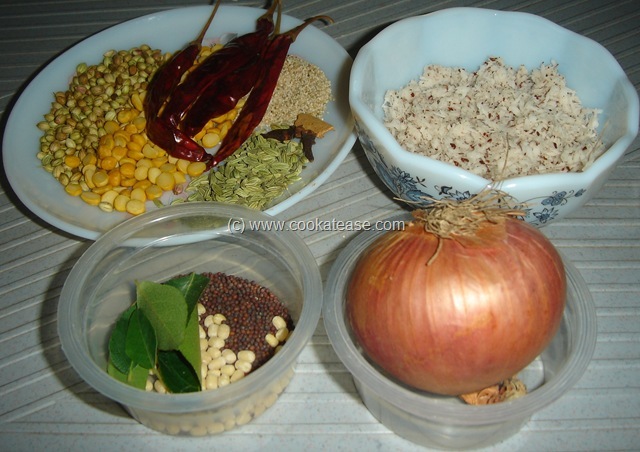 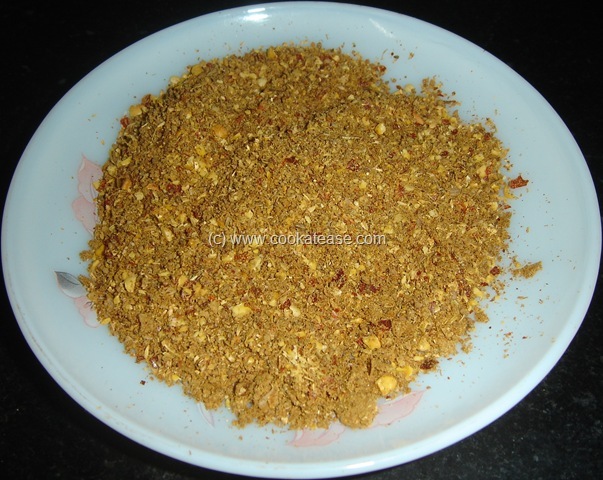 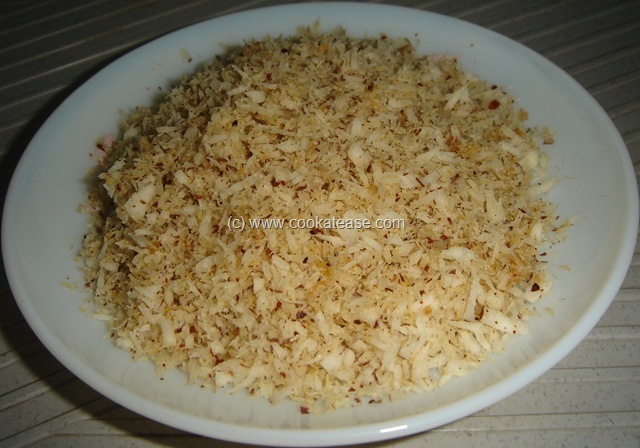 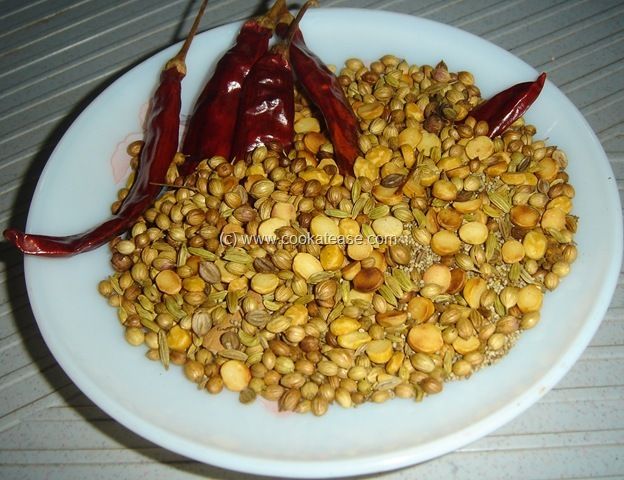 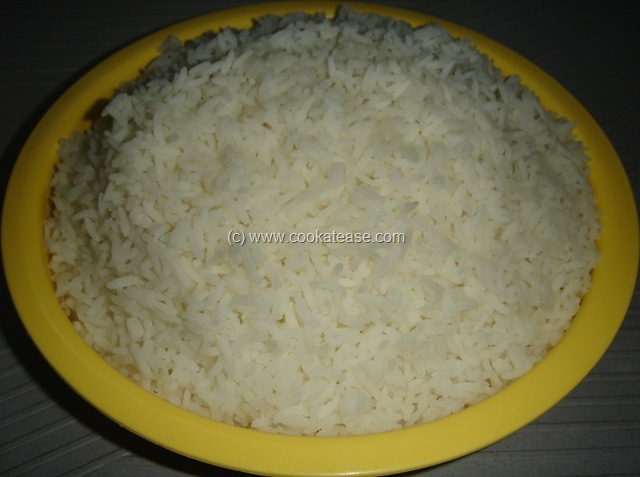 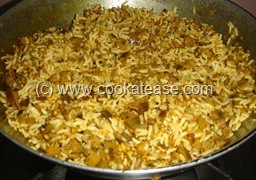 In a pan, dry roast items given and powder it coarsely; dry roast grated coconut. 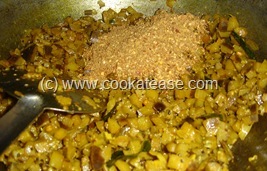 Do the seasoning in a pan, add chopped onion and fry for few seconds; filter brinjal from water, add brinjal and fry for 2 minutes; now add turmeric, chilli powder and salt; stir in between, cook it for 8 to 10 minutes till brinjal is roasted well; add ground dry masala powder, fried coconut and mix well; cook for few more seconds. 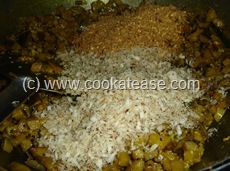 Add cooked rice and mix gently. 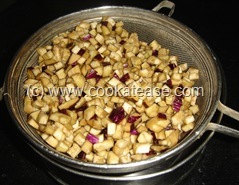 Vangi bath is ready; garnish with crisp papad pieces and serve with Fried Potato/Thuvayal/Chutney. 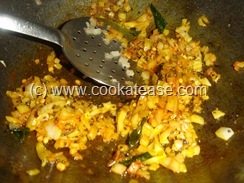 After cooking, add few drops of oil in the rice, toss and cool; the cooked grains will be separated well. 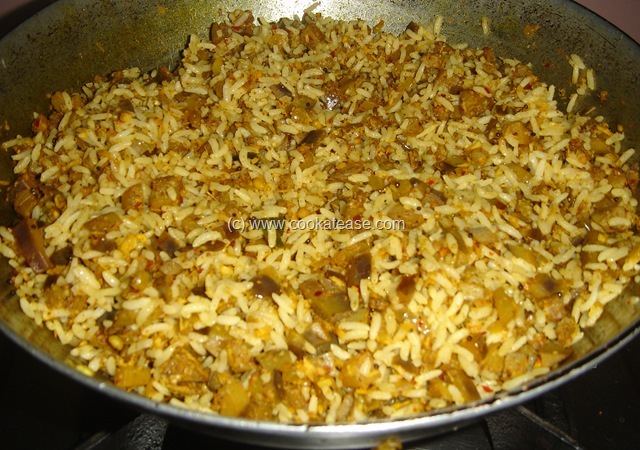 Can be prepared with any type of brinjal. 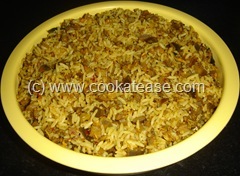 Wow thats my all time fav.. looks so good.